Let’s address the misconceptions around depth resistance. 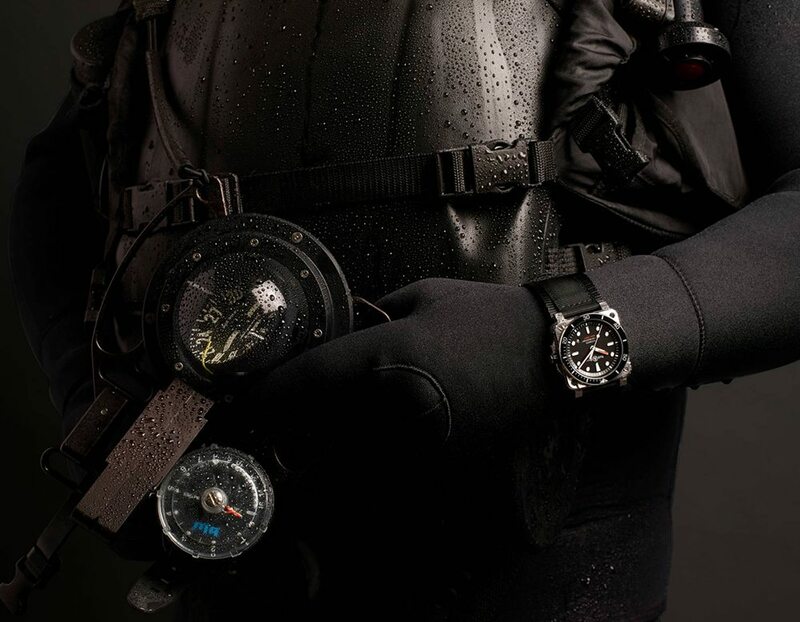 Every watch has one – just take a look at the underwater armada of wrist weights in our diving watch piece – but what exactly do they mean? Let’s be honest, 30m is pretty deep. I mean, it’s deeper than you’d normally go while you’re taking a casual dip off your yacht. Hell, it’s deeper than you’d go snorkelling most of the time. So in theory you’d be fine wearing a dress watch, given that they’re normally marked as resistant to 3 bar (30m). 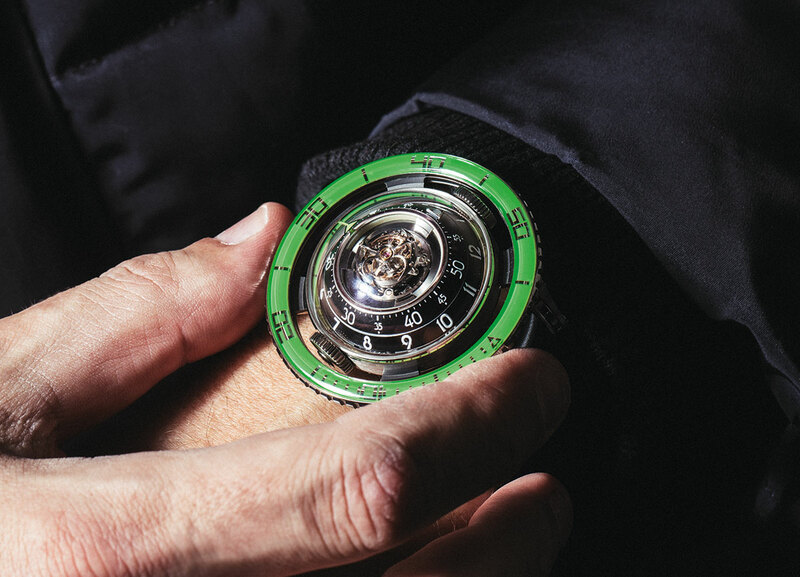 Would you take a €108,000 MB&F HM7 Aquapod Green Titanium into the water when it has a water resistance of only 50m? As you might have guessed from the preamble, that would be an expensive mistake. You see, watches aren’t tested in real life. It wouldn’t exactly be practical for Omega to dump thousands of Seamasters into the ocean and see what survives. Instead, they’re (sometimes not so) rigorously tested in a factory – and often without even getting wet. For a dive watch which commemorates the U.S. Navy’s first African-American master diver, Carl Brashear, the Oris Carl Brashear Chronograph Limited Edition seems rather lightweight with a 100m water resistance. Air pressure is used instead of water, and while in theory that makes sense, as many an unlucky diver has discovered, they’re two very, very different mediums. Then there’s the fact that the mere act of moving in water ups the pressure on your watch tremendously. Perhaps if you’re lying static at the bottom of your pool your Vacheron will survive – just not on the way back up. So, watches can be misleading; but then the Pope has yet to have a crisis of faith, so nobody should be surprised. The question is, if 30m doesn’t mean 30m – then what does it mean? 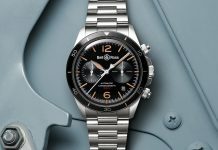 Well, it varies from watch to watch given different constructions, materials and how they were originally tested – but is there a general rule of thumb to follow? The Seiko Turtle Prospex SRP777 Diver has a water resistance of 200m, so you’d best not do much more than snorkel. Yes – that anything below 30m should avoid anything more than a little splashback from washing your hands. From anywhere at all, really. At 50m you might even be able to just about shower with it! You can actually start swimming with your timepiece at 100m, though stick to pools if you really have to test it. At 200m you can finally head to the ocean – well, bobbing around the surface at least; you’d best not do much more than snorkel. 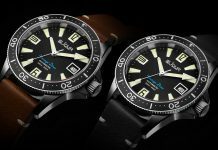 You can only really say a watch is a proper diving timepiece at 300m, though even then there’s some debate. That debate’s less about depth though and more about what kind of engineering fail-safes and legibility you might need. Who cares if a watch survives if you can’t even read the thing? 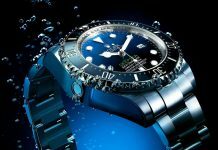 The new Doxa SUB 300 Searambler ‘Silver Lung’ Re-Issue Dive ($2,190) should keep you safe with a water resistance of 300m. Past that depth and things quickly ramp up to silly, and, in most cases, the watches that go above 500m aren’t really worth wondering about. If you’re the kind of person that regularly goes that deep then you’re probably only using a watch as a last-chance backup anyway. Still, it’s good to know it’s a backup that works, and even if you want to keep your land legs they can be worth it for the horological bragging rights. Nice tourbillon – but can it survive being swallowed by a shark? I doubt it! Share the post "The Oracle Speaks: A Few Words on Water Resistance"